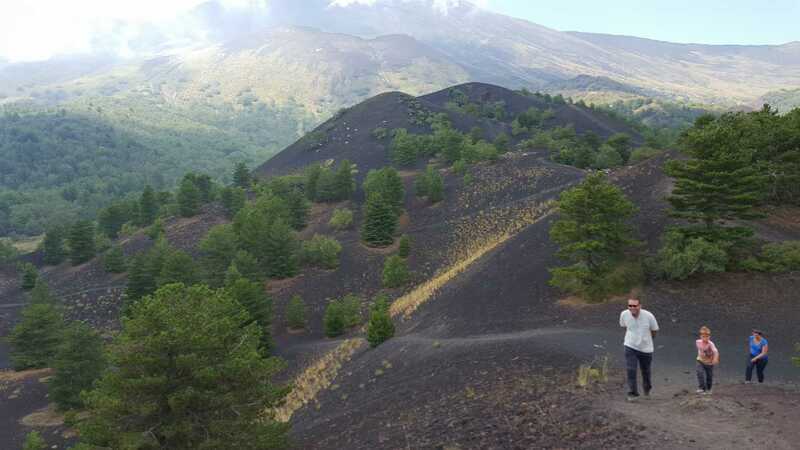 Today you are greeted at Messina port and driven to the Etna Natural Park-South Side (Rifugio Sapienza) a beautiful Volcano rich in sounds, perfumes, and colors. 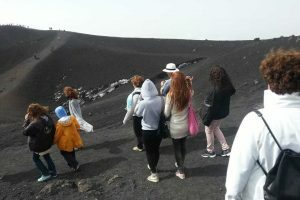 On arrival, those interested in experiencing the Etna craters will have the opportunity to explore the Silvestri Craters and also the option to ascent to the top (by Funivia dell’Etna Cable car company) purchasing cable car tickets (Cable Car Fee: not included) on the spot (weather and volcanic conditions permitting) to experience the lava fields and incredible landscape view from Europe’s highest and most active volcano. Later we drive back to Messina port to be on time for your departure. 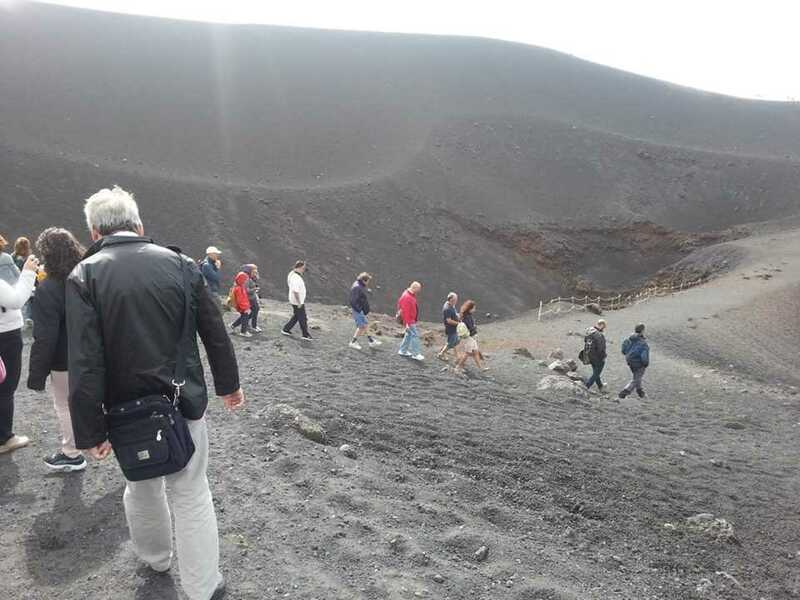 Mount Etna is an important Sicilian highlights and it is an active volcano located on the east cost of Sicily. 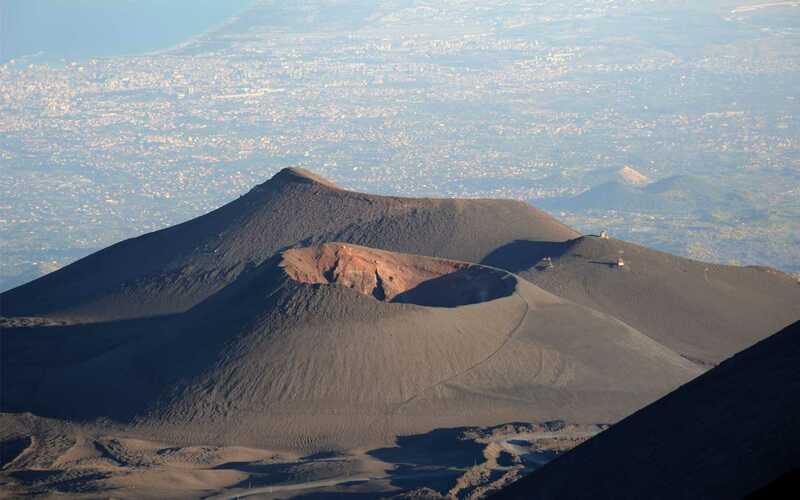 It is the largest volcano in Europe, reaching a height of approximately 3,326m (10,910 ft) above sea level. 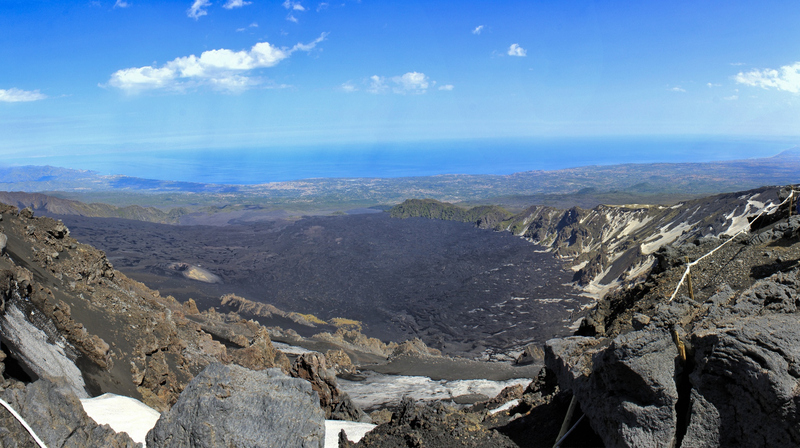 Etna covers an area of 1190 sq km (460 sq miles), which the base circumference of about 140km. This makes it the largest active volcano in Italy. 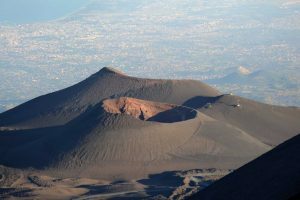 The ancient Greeks believed it to be the home of Vulcan, the god of fire – to them, Mount Etna erupting merely meant Vulcan was forging weapons for Mars, the god of war. 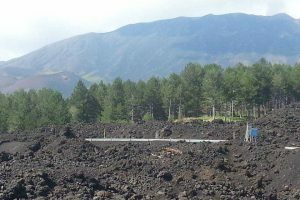 The fertile volcanic soil supports extensive agriculture. 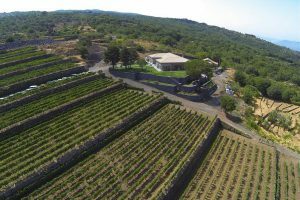 Vineyards and orchards spread across the lower slopes of the mountain and the broad Plain of Catania to the south side of Sicily. 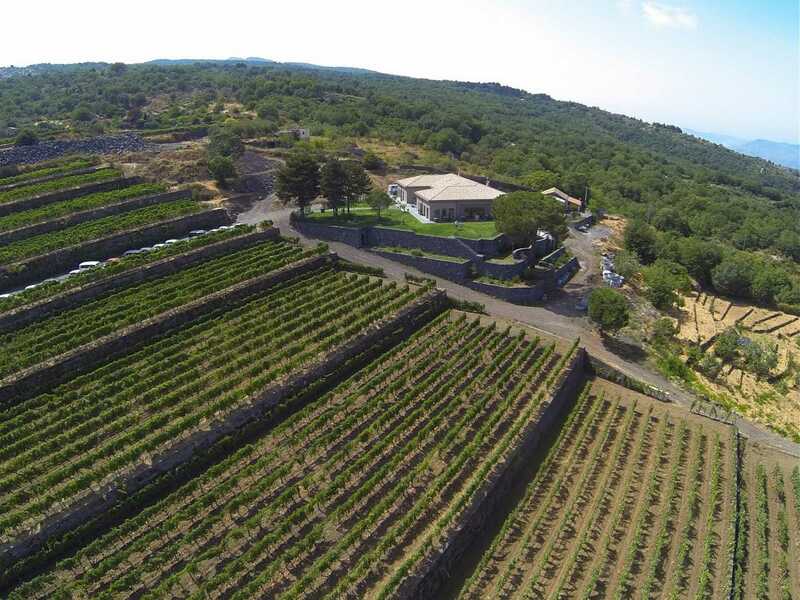 In this side there are a multitude of vineyards and olive groves. As you climb higher, the lowlands evolve into dense woods sheltering a surprisingly large number of animal species that call the mountainside home, until you are left at the third tier of the mountain, a spartan wasteland of historic lava flows and volcanic ash. 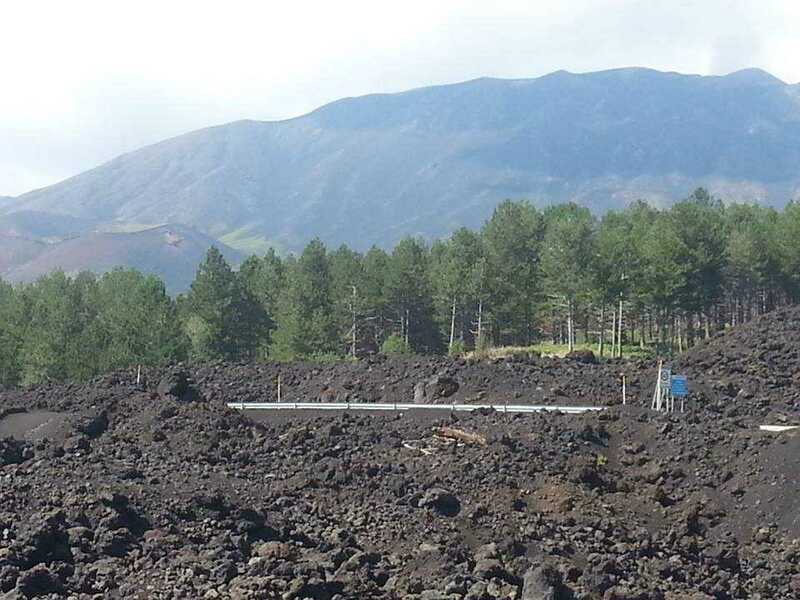 Dotted with snow most of the year, some of the lava is dated at 300,000 years old. 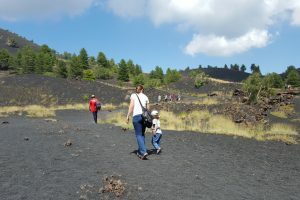 Mount Etna does not represent a great attraction exclusively for the presence of its eruptions. It’s also a wonderful natural park with evocative landscapes. 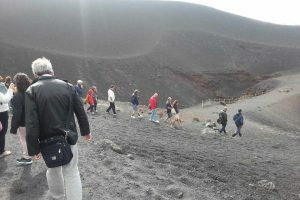 The are forests green of the vineyards and beautiful walking paths for excursions on Etna. 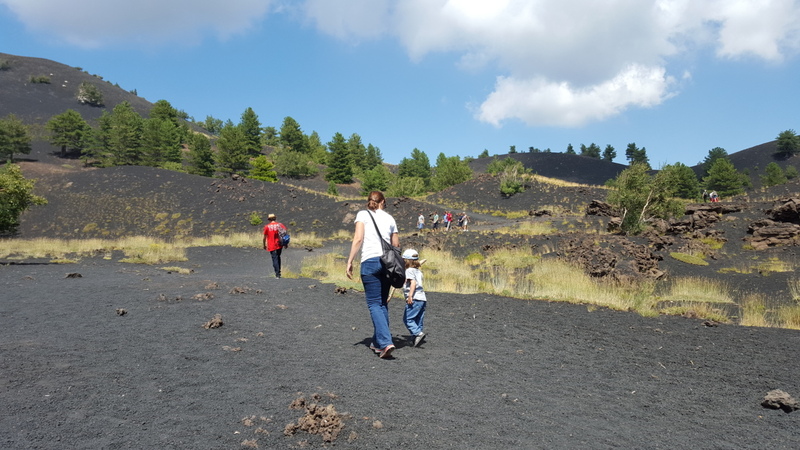 It’s easy to walk in the park and fell the nature renaissance into the destructive scenery of the past eruptions hear voices of animals and enjoy the peace. 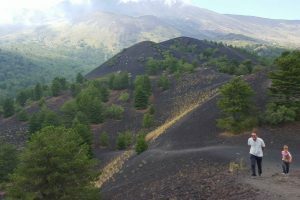 The vegetation of the Etna-North is subject to continuous changes due to the several eruptions that have changed its landscapes. 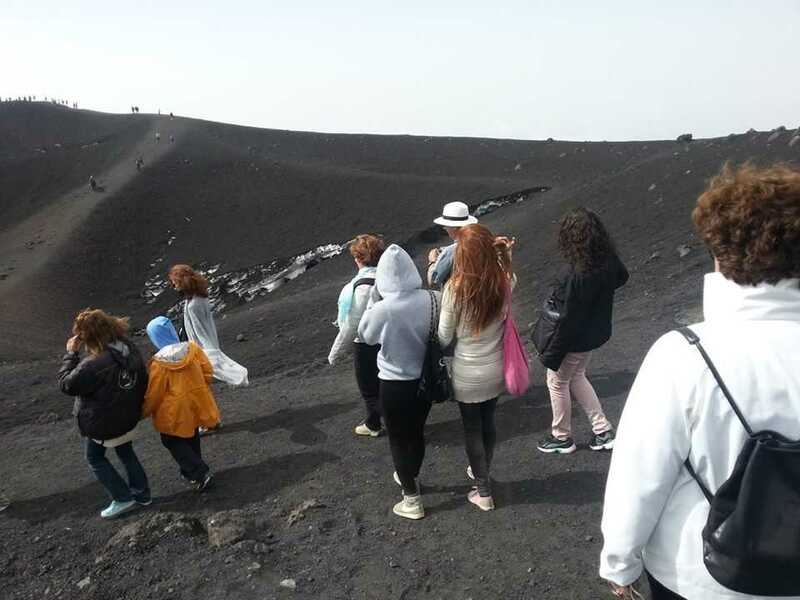 At lower altitudes there nut forests apple forests and chestnut trees; At 2000 meters there are the faggio and the birch; between the 2500 meters and the 3000 meters there is the volcanic desert. 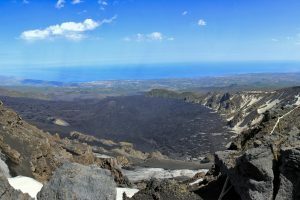 Full day Excursion to discover Castelmola, the balcony over Taormina, to see the view of Mount Etna and Giardini Naxos Bay. Then we will enjoy the amazing Taormina, the World famous resort town of Sicily.